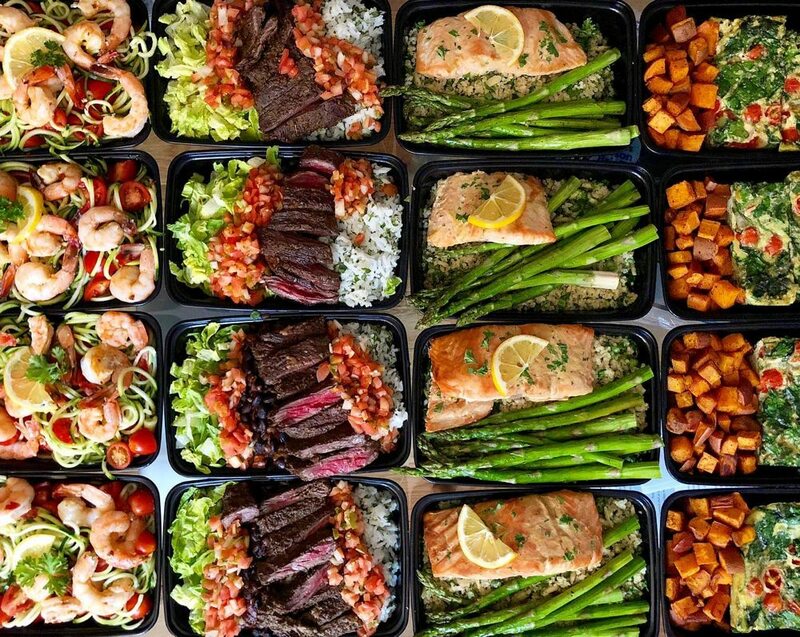 A Beginner's Guide to Meal Prep | Valet. How to eat healthy, on the cheap and save yourself time as well. Follow Alyssa Gagarin, founder of Meal Prep Chef for inspiration, tips and recipes like these here. When it comes to eating healthy, discipline is key. But life can easily get in the way to derail discipline. You know how it is, you buy good stuff at the grocery store with good intentions, but then you leave the office with a growling stomach and little energy to actually cook a balanced meal. Or you sleep a few minutes later and suddenly don't have time to pack a healthy lunch, so you grab a burger and fries. But we're not alone. Crazy work schedules are one of the top barriers to clean eating among young adults, according to a study by the American Journal of Health Behavior. That's why preparing your meals ahead of time (aka "meal prep") has become so big with those looking to stay healthy. You've likely heard about it or noticed the ripped guy at work pull out his little plastic container at lunchtime. So what's the deal with meal prep? Is it really worth it? What are the benefits? Doesn't it feel like eating leftovers for days on end? We were curious, so we tackled these and other questions. The answers are below. But the biggest question everyone seemed to have was when one finds the time to put in the kitchen work. Between work, exercise and family obligations, it can seem like there isn't any time left for meal prep. The weekends are a popular time to prep for the week ahead, but there are no hard-and-fast rules. Mandy Enright, a registered dietitian, advises her clients to work backward. Make a list of the nights when you won't be home for meals (for things like dinner meetings or social events), then cross those dates out in the calendar. Next, count the days when you won't have time to cook, and plan for a quick meal or leftovers to heat up on those nights. "The remainder of days are when you'll have time to prepare your future meals," she says. "Notice how you may only have to cook once or twice now?" Contrary to what many people think, eating healthfully doesn't have to be expensive. Loading up your cart with such staples as beans, rice and frozen veggies won't cost much. By planning your meals in advance, you will know exactly what you need to buy, instead of going to the store a few times each week to pick up last minute ingredients. But the biggest savings will come from regularly bringing a packed lunch rather than buying it out each day. Or having a dinner ready to go in the refrigerator instead of having to order Thai food and meet the $20 delivery minimum. While there's an initial time investment upfront, you still end up saving time overall when you prepare your meals in advance. You only have one or two sessions of chopping, cooking and cleaning. And you won't waste time standing in front of the refrigerator, trying to figure out what to cook. Once your meals are prepared ahead of time, you simply take them out of the fridge and heat them up. A great benefit to meal prepping is the ability to create a balanced diet and meal plan. For one, you know exactly what you are putting into your body, and how much. You're able to make good choices and control how many calories you're taking in each day. Your portions will be consistent and if you're following most meal prep guidelines, you'll have a good balance of protein and vegetables. Perhaps you're already a smart shopper. But if you're the type that wanders aimlessly around the aisles, trying to figure out what you need or what you want to cook, you'll benefit from meal prep. When you plan out the meals you'll be preparing, you know exactly what you need and often you're buying staples like rice or frozen vegetables in larger quantities, but less frequently. Have you ever bought ingredients to make a meal, but never got around to making it so you had to throw the stuff out? Tossing produce or meat you haven't even cooked yet because it's gone bad is throwing away money. When you meal prep, you utilize all of your ingredients for the week, and it is very unlikely that you will have any left over. Prepping your food makes for an easy routine to keep and prevents you from giving into temptation. You've already made the right choices when making the meal. 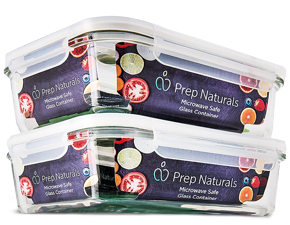 Now, instead of picking up take-out or grabbing a fast food lunch, you've got a pre-portioned meal ready to go. 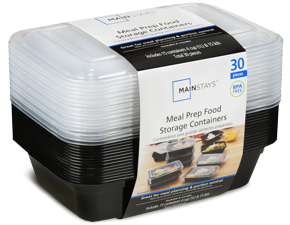 Packing your meals in containers prevents you from being able to reach for more. 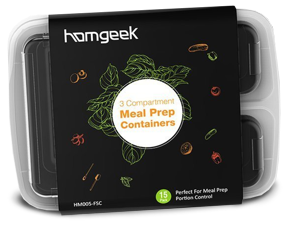 A quick Google of “meal prep recipes” will no doubt provide you with whatever your tastes desire, but most of the meals you'll prepare in advance have three core building blocks. You can take these and switch up your garnishes and sauces to keep your meals interesting. Roast, bake or poach poultry, meat or fish. Steam or roast vegetables in a large batch. Bake potatoes or sweet potatoes wrapped individually in foil. Chop raw fruits and vegetables for salads and snacks. Use a rice cooker or simmer a large batch of rice, quinoa or farro that will keep all week. Hard-boil a dozen eggs to use throughout the week, but refrain from peeling until you need them so that they keep for the full seven days. When cooking pasta, take it off the stove when it's just shy of al dente; drain and rinse with cold water to stop the cooking. You'll want it slightly undercooked so that it's not mushy when you reheat it during the week. Ground meat actually lasts longer cooked rather than raw, so be sure to remove it from the store packaging and cook it as soon as possible once you've brought it home. Chicken breasts may be the leanest, but for meal-prep purposes, thighs may be a better bet; their slightly higher fat content means they won't become as dry in the fridge (and bonus, they're cheaper). Cooked brown rice will keep for about five days in the fridge. To heat it back to its original steamy, springy texture, place it in a bowl, sprinkle a little water over the top, and cover with a wet paper towel before microwaving. Refrigeration and freezing are an important step to successful meal planning. Your cooked meals with meat and vegetables will stay fresh in your refrigerator (make sure it's no warmer than 40°F) for three to four days. Any meals you plan to eat after the fourth day, simply place in your freezer. You can then heat them directly from the freezer or let them thaw in the refrigerator the day before. It's a rustic Italian staple that's not only a nutritional powerhouse, it's versatile and easy to make too. If you don't have a slow cooker, you're missing out on some surprisingly delicious meals you can make with almost no effort.